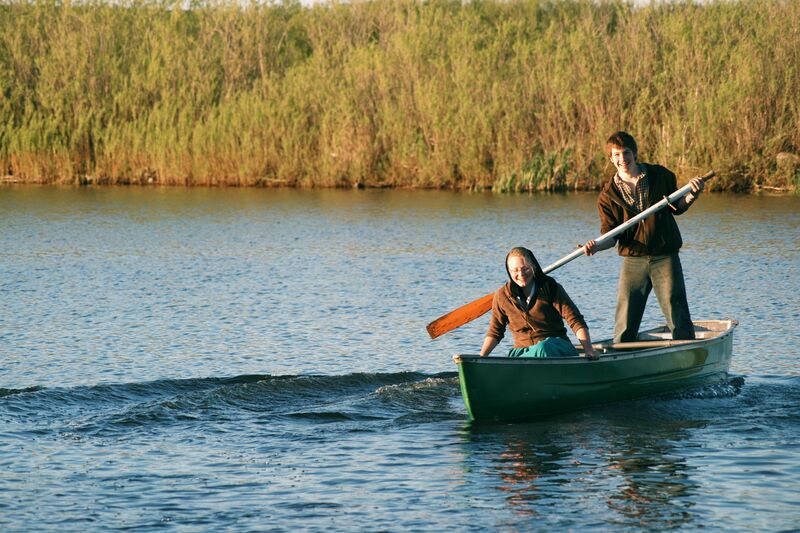 Traditionally Hutterites had a very limited amount of leisure time. In addition, sports and other recreational pursuits were discouraged or banned and sometimes still are. However, attitudes towards leisure time is changing and many Hutterites do a lot of different things in their leisure time, depending on the mindset of their particular colony or church leaders. Many play sports, such as hockey, visit other colonies, work on crafts, read books and magazines, blog and create music. Sport-related activities enjoyed by Hutterites are hockey, volleyball, baseball, soccer, football, lacrosse and others. Not all colonies allow sports among their young people, but many do. Hutterites do not participate in organized sports, although many do organize games among different colonies. Hutterite young people from different colonies get to know each other by visiting for the day or weekend. Many different opportunities arise that enable young people to get together. For example, because Hutterites tend to help out each other a lot, a group of young people might get together to help on a building project. Other times, Hutterites might be offered a picking of required vegetables by another colony; therefore, a trip is arranged for that purpose. Or they will simply go visiting to other colonies. Crafts such as creating flower arrangements, knitting, crocheting, needle-point, sewing, woodworking and rug-making are some of the crafts enjoyed by Hutterian women. 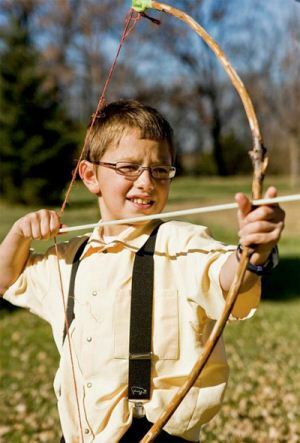 Youngster playing with homemade bow. Hutterites spend a lot of time singing. In addition to the songs sung in unison during church services, many Hutterite youths sing at old-folks homes, at charity fundraisers, in hospitals and on their own and in different colonies. Often Hutterite youth will enjoy evenings of singing, often with musical accompaniment. Many colonies don’t officially allow musical instruments, but quite often they are played privately. Some less conservative Hutterites do not prohibit instruments and, in fact, encourage participation in music lessons and instrument-accompanied singing. Depending on the colony or the leut, young people do have multiple opportunities to participate in sports and other recreational activities.